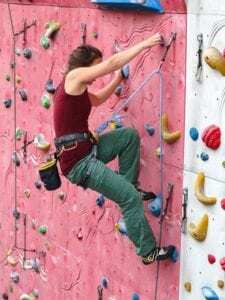 Is Rock Climbing a Good Form of Exercise? How do you wash Climbing Shoes? Is there a Weight Limit for Indoor Rock Climbing? Rock climbing is a great form of exercise, you will find it beneficial for both strength and cardio workouts. Work your shoulders, bi’s and tri’s and you will get to strengthen your core muscles. Indoor climbing is, in fact, a fantastic full-body workout. Get the right shoes for climbing and other equipment and away you go. Keeping your shoes well cared for is essential in order to ensure their longevity. Dry your shoes out between climbing sessions by hanging them to air dry, don’t store them in confined spaces and take them off during your climbing sessions if possible to let them dry out. You can also deodorize your shoes in order to prevent odors. Using powders is not the best option for climbing shoes but spray deodorizers are great. To wash them you will use warm water and a very mild soap to get the job done. Clean them with a soft brush, making sure you take care of both the inside and outside of the shoes. You must make sure they dry properly before using them again, if you cannot let them air dry, then put them in front of a fan or a heater. To keep the shape of the shoe you need to stuff them with newspaper, this also helps to dry out the inside of the shoe properly. Leather shoes will tend to stretch if you do not dry them out properly, worse than synthetic materials, leather will also cause odors more than synthetic materials and will, therefore, need to be cleaned and dried frequently in order to prevent odors from developing in the shoe. 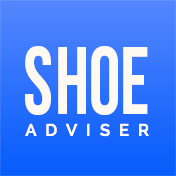 The most important thing is to ensure that your shoes are completely dry before using them again if you do not air dry them properly you could damage them and have to invest in a new pair of climbing shoes which could become an expensive exercise. You can wear socks when rock climbing, however, it is not always advisable as your feet may slip and slide around in your shoe if you wear socks. 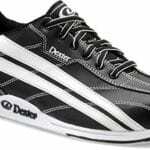 If you are an experienced climber or an intermediate climber you may like to buy tight and aggressive shoes, these will not work well with socks and could even feel a little weird. Wearing socks when you are not going to climb or are waiting to climb in order to keep your feet warm is find, but there are no real benefits to wearing socks with your climbing shoes when you are actually climbing. There is no weight limit to indoor rock climbing beside the weight limit of the harness and ropes you are using to belay. You do not have to be thin to rock climb and it is a fantastic form of exercise helping you to lose some weight while having fun. You do not need to be thin and light to get up the easier climbs, although it does help, the good thing is if you get into regular climbing, you will find that you will burn off that extra weight quicker. Climbing indoors and outdoors is a great form of exercise and the perfect all-body workout. The techniques used when rock climbing, including the footwork needed and the way you position yourself on the rock, will determine if you make it to the top of not. Pushing yourself up the rock is done by using your legs rather than your arms. This makes perfect sense when you think that your legs are a lot stronger than your arms and can give you the boost you need to get to the next hold. Start easy. Slabs are the perfect way to start your climbing adventure, They are less vertical in nature and therefore you can keep your body aligned over your feet to allow you to primarily use your legs to push yourself up. When the rock gets steeper, you have to use your arms to lift yourself, this can be difficult if you are carrying a few extra pounds as the worse your strength-to-weight ratio is the harder it will be to pull yourself up rather and push yourself up. The more you weigh the more likely you are to pick up finger or elbow tendon strains or injuries. To avoid these, you should start off slow and if you do feel a strain in your arms you should let go at a lower level and try a different route. Remember flexibility is also one of the key elements to climbing, so make sure you stretch properly before attempting a climb, you will need to stretch every part of your body from fingers to toes to avoid tearing or straining any muscles or tendons. Climb the routes you want, even if they are the easier ones. Also do not feel as if you need to reach the top, climb as high as you feel comfortable with and then let go and get back to the ground. Climbing should be a fun form of exercise and pushing yourself too hard, just as in any other sport, can lead to injury and fatigue. If you really enjoy climbing, you will find that you will lose weight without even thinking about it as you go climbing to higher heights each day, you can easily become the greatest loser if you pursue this form of sport. Rock climbing is a great sport and one that will help you exercise each and every part of your body for an all-over workout. Whether you climb indoors at a gym or outdoors, you need the right shoes to help you get a grip on the rocks you are trying to best. Climbing can be fun, and it will also help you remain healthy and fit. We hope you enjoyed our article on "Is Rock Climbing a Good Form of Exercise? ", if so, please share and rate it.